The 26-year-old playback singer has come a long way in a short while. What do the techno-house number Ladio from I (2015), the melancholic Ghar from Jab Harry Met Sejal (2017), and the boisterous Punjabi dance song Dhyaanchand from Manmarziyaan have in common? 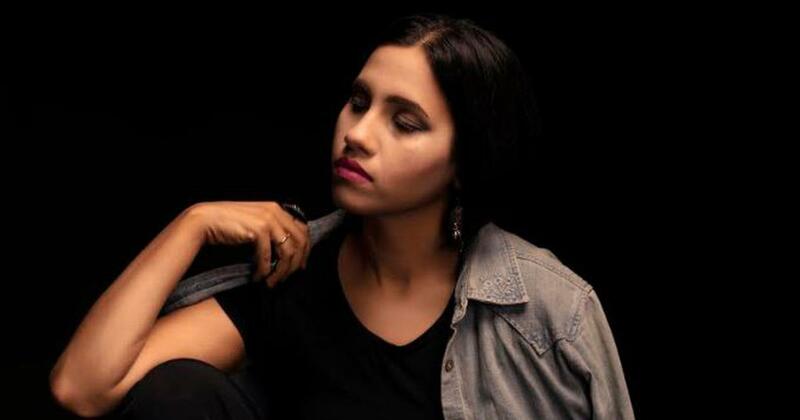 All three tracks have vocals by 26-year-old Nikhita Gandhi from Kolkata. The Bengali-Punjabi musician has sung in many languages, including Tamil, Telugu, Hindi and Bengali. Now, Gandhi has moved beyond playback singing to launch her first Hindi independent single, Humshakal. The rhythm-and-blues song, encased in trap and hip-hop sounds, is closer in sound to contemporary Western pop than Bollywood. Gandhi is a student of Hindustani classical music, but she attributes her versatility to “musical ADD [attention deficiency disorder]”. In an interview, she explained how she went to study dentistry in Chennai but found herself in AR Rahman’s studio and in the world of playback singing. There’s ‘Humshakal’ and then there’s your Bengali single, ‘Aamar Khadi’, which is a mostly acoustic blues song. What kind of music are you more drawn to? Both Humshakal and Aamar Khadi have been sung and composed by me. Aamar Khadi was for a handloom clothing brand. What I do depends on the vibe, on my mood, on instinct. Very Indian compositions also come to me naturally. Has your sound and arrangement for ‘Humshakal’ along with the look of the music video been dictated by market norms? Weirdly, I kept getting the feedback that it is not Indian enough. This sound is not that popular in the film industry though male artists are doing a lot of rap and hip-hop. Female, not so much. From a western perspective, it is commercially viable, but I didn’t think of all this while making the song. My objective was to create an international song in the Hindi language. I also didn’t go overboard with the production. It’s light on the ears. In Indian film music, the tendency is to overproduce and put more stuff into a song so that more people will dance. The binaries are either make a love song or make song a DJ can play. You have an anglicised inflection in your voice. Does that limit you? I am asked a lot if I am NRI [Non-resident Indian] or something. It is an influence of the television shows and songs I grew up listening to, which have mostly been on the western side. I would automatically switch to a more desi self if I got a classical or semi-classical song to sing. But I don’t think it is a limitation as much as it is an advantage. The identity crisis lets me be a musical chameleon. I can surprise people. Recently, one of the singers in Manmarziyaan couldn’t believe that I did the rap in Dhyaanchand and I sang Ghar too. I know that at the end of the day you need to be a brand, but I think it’s remarkable for composers to have the emotional and musical intelligence to put me in different kinds of songs they think I can sing well. Bhavani Dayani by Nikhita Gandhi (2013). Pick five songs from that you think stand out or were particularly hard to pull off. Number one is, of course, Ghar. It is the first song chronologically in my career which showed a different texture to my voice. Ghar is very dear to me as it is to dada [Pritam] who can’t stop talking about it in interviews. Sometimes you create something that you genuinely like. I am privileged to be its voice. Ghar, Jab Harry Met Sejal (2017). Second is Ladio. Not because it was my first big song, but it was the most challenging one that I ever recorded. I felt like I was thrown into an ocean. Rahman sir was in the studio overseeing the recording, along with the director [Shankar]. First time singing in a foreign language, and that too, fast. I sang the Tamil one first. That was hard. Then, the Telugu and Hindi versions weren’t as hard. Third is Raabta’s title track. Recording this was 10 times the pressure of how it felt doing Ladio. Here, I was a new singer singing for Deepika Padukone in a massive film. A recent hit song [Raabta from Agent Vinod], that too well-sung, was being recreated. There was pressure. At number four, I won’t put a song but the entire score of Muhammad: The Messenger of God where my voice was throughout the background music. The film wasn’t released in India because it hurt religious sentiments, but it is a very beautiful and a most secular film. I pick this because I am literally the voice of the film. Plus, Majid Majidi [the film’s director] and AR Rahman. [who composed the soundtrack] What more can you want? Lastly, my third Rahman composition, Mujhe Chaand Pe Le Chalo [from Rajkumar Hirani’s Sanju]. It’s my first proper Bollywood Hindi song for him. It was so nostalgic a tune, I fell in love with it. Birth, Muhammad: The Messenger of God (2015). 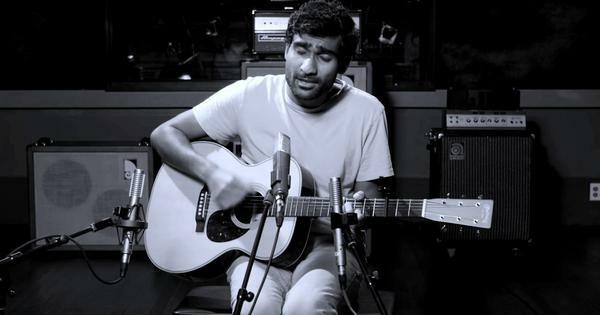 When you recorded ‘Ladio’ as a newcomer, were you scared being in a studio with AR Rahman? Excited, rather. I couldn’t believe that one day I am studying dentistry, and then this is happening in my life. I told myself to calm down. Self-humility has helped me a lot. Once you put yourself on a pedestal by thinking you have arrived, you are asking for stress. How is that you are singing songs far removed from the extensive Hindustani classical music training you have had? I was quite the undisciplined student. While learning Hindustani classical, I was simultaneously attracted to a lot of other stuff. This musical ADD got me into listening to rock and jazz. I also learned Odissi dance and I picked up a lot from that and Odiya folk songs. Then, I went to a Protestant school where I grew up with choral hymns. Everything played a role. At one point, I was listening to a lot of Kailash Kher and other folksy singers like him. After coming to Chennai to learn dentistry, I joined Rahman sir’s KM College of Music and Technology where I learned Western classical for some time. Kotha by Nikhita Gandhi and Udey (2017). You did a beautiful album called ‘Kotha’ on the Bengali poet Kazi Nazrul Islam’s songs, long before your playback singing career began. How did that happen? My father learned Nazrul Geeti [Kazi Nazrul Islam’s songs]. I didn’t. I picked it up from him as I grew up. This album was a passion project with zero commercial interest. I wanted to do this album as an ode to Kazi Nazrul Islam, who is a very underrated man overshadowed by the legacy of [Rabindranath] Tagore. He never got that popular but his music was ahead of his time. Are you recreating Nazrul Geeti in Hindi? I am, yes. Today, people are recreating songs for whatever reason, but I want to do this so that people get to know him more and listen to his songs which are so, so beautiful. Today, I have reached a position from where I can release a couple of singles which are translated versions of Nazrul Geeti. I got the idea while making Kotha where the arrangers and musicians were not Bengali and they were connecting to the songs so well.